Don't just get fit!!..... 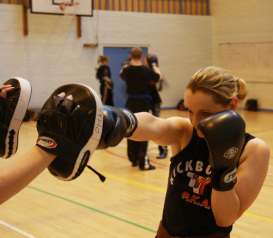 Stay motivated, Stay interested, Stay committed and STAY FIT with Kickbox UK. 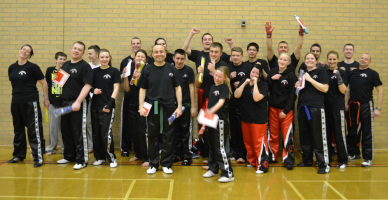 We are so sure the motivation offered by the qualified instructors and variety in training techniques will make you want to train regularly that there is NO CONTRACT and we also offer a completely FREE TRIAL CLASS. The beginners program is designed to start you off slowly and then increase the workout intensity as your fitness levels improve. Every beginner will receive one to one coaching and encouragement from the PKA coaching team and every workout is specifically designed for YOU. This ensures you get the most from your training and develop at your own pace. Please note class times for Clifton and East Leake are shown to the left of this page.